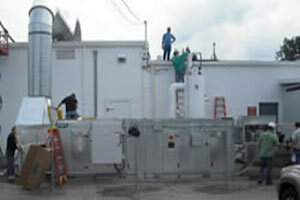 Shambaugh & Son (Shambaugh) has earned a reputation in the food process industry for delivering top-tier facilities with the latest process, refrigeration, and material handling technologies. Shambaugh is a single-source, vertically integrated, Design-Build Construction Engineering firm offering process, mechanical, electrical, refrigeration, fire protection, security, and communication services. Shambaugh holds the distinction of having been the Design-Build team behind 15 Plant of the Year Food Processing facilities. 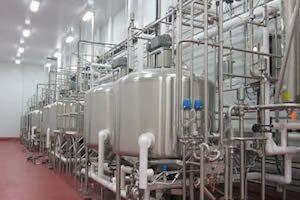 Plant of the Year recipients demonstrate innovative food manufacturing and state-of-the-art design. 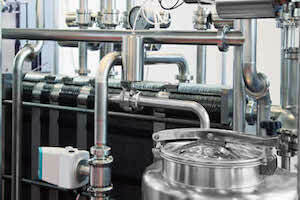 Shambaugh projects have earned multiple national awards—across a variety of food process categories—including T. Marzetti Company’s 220,000-square-foot salad dressing facility, a high-tech, 1 million square foot Greek yogurt plant for Chobani, Inc., a 215,000 sf high purity fluid milk and beverage plant for Kroger, and in 2018 the Nation’s largest milk drying facility for Dairy Farmers of America. A key to Shambaugh’s success is its ability to design and deliver highly automated hygienic systems for dairy, beverage, dressings/sauices, meat and snack-food industries. Our specialties lie in the design and construction of FDA, USDA and cGMP facilities, and our Design-Build construction philosophy also ensures accountability for life safety, constructability, serviceability, sanitation, and ergonomic issues. 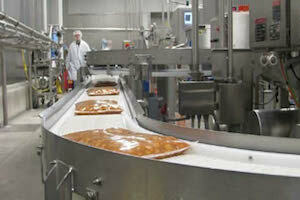 Contact Shambaugh today to receive nationally recognized, award winning food process design-build services.